MACON, Ill. – Midwest Big Ten Series Late Models are ready to roll in the season finale tonight (Friday, Oct. 10) at Lincoln Speedway, when the championship fight is combined with action from MOWA sprint cars and POWRi midgets for an amazing tripleheader during the final weekend of dirt tracking in Central Illinois. The rain has stayed away from the fast quarter-mile fairgrounds track, and the racing will continue as scheduled. So get your seat cushion and get ready for a wild night of premier racing. After a memorable season on Central Illinois dirt, this spectacular weekend puts the finishing touches on racing here in 2014. So don’t miss it. Ryan Little, of Pleasant Plains, leads the Big Ten Series points standings heading into the final event of the season. Greg Kimmons, of Pleasant Plains, stands second in the season-long fight with Brian Diveley, of Springfield, in third. 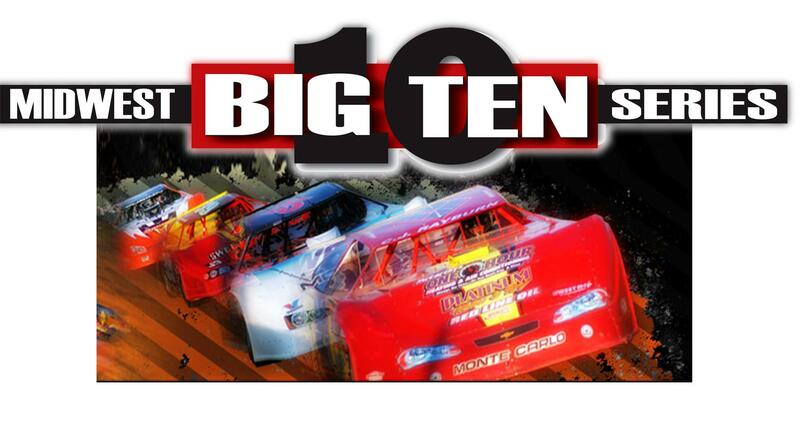 With the top eight finishes among the 10 races used to compile the final standings for each driver, positions are up for grabs as Big Ten Series racers chase after the victory plus the big prize from the season points standings. The champion earns $2,000 from the season-ending $5,000 points fund, and the payout extends through the top 10 in the final standings. The MOWA Sprint Car Series presented by Casey’s General Stores also heads into the final weekend of its exciting season. The popular winged sprint cars race in four states, and Jerrod Hull, of Sikeston, Mo., holds the points lead over runner-up Joey Moughan, of Springfield. Defending champ Zach Daum, of Pocahontas, Ill., leads the POWRi Lucas Oil National Midget Series points standings. Defending champ Nathan Benson, of Concordia, Mo., battles with Aaron Andruskevitch, of Riverton, and Jeremy Camp, of Blue Mound, for the points title in the POWRi Speedway Motors Outlaw Micro Series.